It’s time to “Jingle Bells” yet again, and while some of you might be busy planning the right menu, the others might be lining up a new wardrobe for the festivities. In all the fun and chaos, picking the right gift for your loved ones is quite easily forgotten. Some of you might just not be able to find the right present commercially. Giving something handmade always makes the whole thing more personal. So, here are some DIY gift ideas that are so easy to make and something that your best people are sure to love. You should definitely consider making some of them, if not all, for your near and dear ones. For all those who love photography beyond Instagram, this is a great idea. Their camera is their favorite gadget. And, it will give them ultimate happiness to receive a personally hand-painted strap for their beloved clicker. 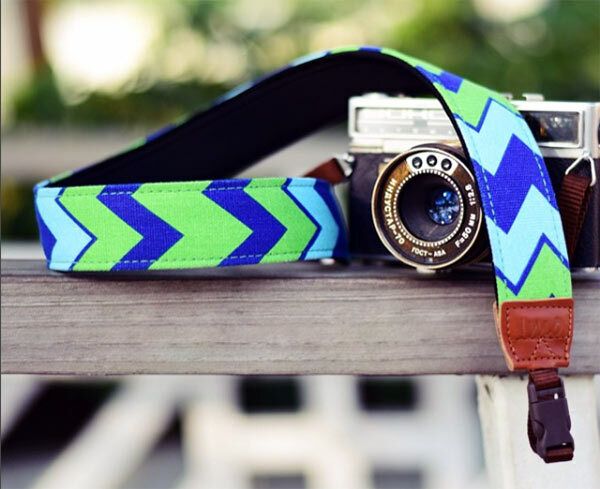 Measure out the length of the strap, and then create a geometric pattern with the masking tape. Paint the areas that are not taped. Allow the paint to dry. Then, remove the tape, and you could either paint the plain bits in another color, or leave them plain. Now that the creative bits are tacked, it’s time to make it a utility strap. Slide in the hooks and glue the end to the strap, making sure you leave a little space for the hook to move around. Add a few stitches to the glued area to secure the strap and make it strong enough to hold the camera. This is for all your lovelies who cannot do without their phones. 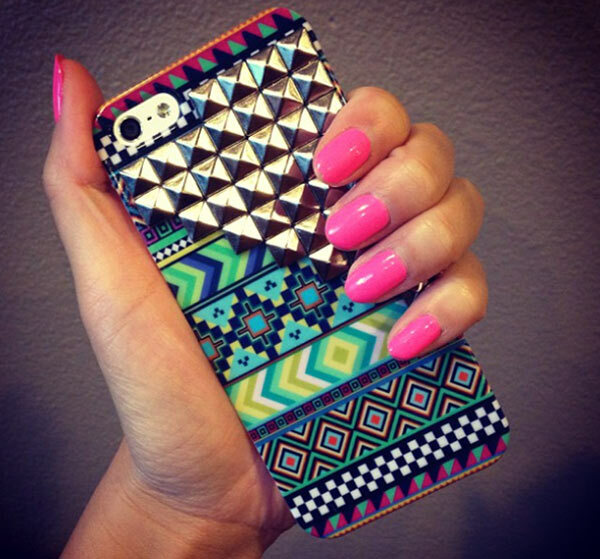 And, when your phone seems to be an inseparable part of you, it needs to complement your look and personality. So, if you decide to give this to someone young and quirky, you can buy a nice cover, either plain or printed. Then, you can go over to the local craft store and buy a packet of studs. Place the studs in a design of your choice. Once you are satisfied, glue the studs to the phone case using high adhesive glue. Leave it to dry for at least 24 hours. Your cool and trendy phone case is absolutely ready to use. All those pictures you clicked are beautiful memories that deserve a better place than your phone. Of course, you might blow up some pictures and put them on the wall. 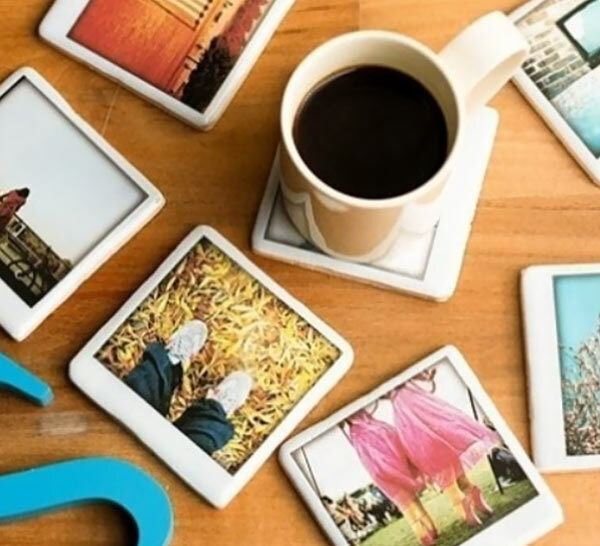 But, if you want to get a little more creative, you can make lovely coasters out of them that your loved ones are sure to adore. Paint a coat of Mod Podge on each tile. Press each photo on the tile and let it set for a few minutes. Paint another layer of Mod Podge on the picture and let it dry for about 20 minutes. Repeat this procedure a few times, giving sufficient time to dry between each layer. After you apply the final layer, allow it to dry for a few days, four to be precise. Apply a layer of sealant on the coaster. Let this dry for a few more days. Once they are totally dry, they are ready to use. Stick the felt sticker below each coaster to make it steadier. Your personalized coasters are ready to use. A good cup of coffee makes everyone’s morning! 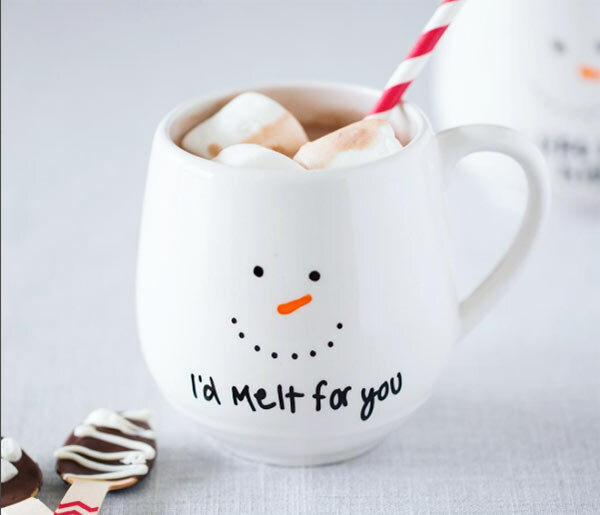 So how about gifting a personalized mug that will not only remind your loved one of you every morning through the next year, but also put a happy smile on their face? This one is extremely easy. All you need is a porcelain pen and a blank mug. Let it be your canvas of expression, and let your loving thoughts translate into beautiful designs so that you are satisfied and your kith and kin are elated. Sometimes the smaller joys in life are the bigger ones! No amount of containers and boxes are ever enough to store your trinkets. 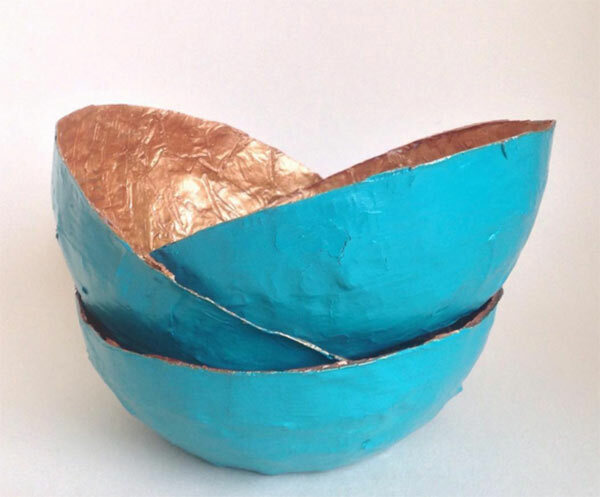 And, in keeping with the festive theme, these gold paper bowls are sure to floor your beloved. Blow up the balloons, keeping in mind that their base will determine the size of your bowls. Cut the newspaper into small strips, and then using the foam brush and mod podge, stick the paper to the balloons. Be generous with it. The more the layers of paper, the thicker your bowls will be. Now, keep these balloons aside, and allow them to dry overnight. Once it’s dry, burst the balloon and remove its remains. You will be left with a mold with uneven edges. Cut out the extras to even out the edges, and paint the bowls in whatever color or pattern you like. Add a layer of gold leaf on the inside to deck up your bowls for Christmas. Your sassy bowl is ready to use. Scrubs add the right amount of moisture to that dry winter skin. 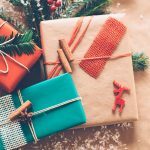 Of course this is not the first gifting idea that comes to mind when you think of Christmas, but when it is made at home, with lots of love, why not? Mix the sugar, oil, and essential oil , and divide them into two equal parts. Add a few drops of juice from the frozen raspberries to one part to give it a lovely pink hint. 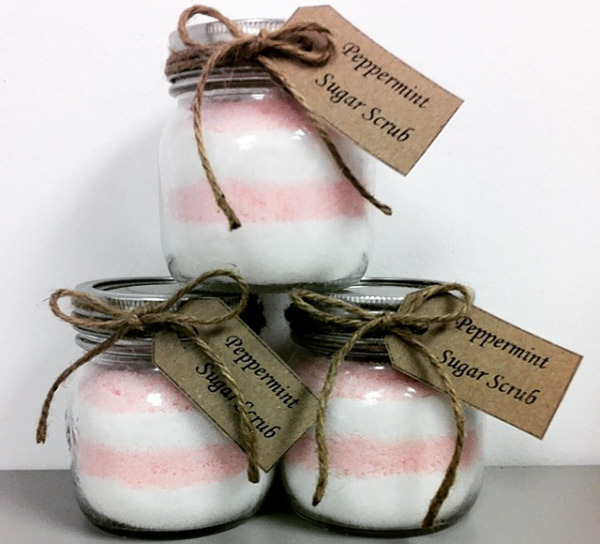 Now, start layering a mason jar with white scrub and pink scrub alternatingly. Shut the jar, and add a lovely Christmas card or a ribbon to jazz it up. Don’t forget to keep a jar for yourself. ‘Coz not just your friends, but you are going to love it too! Christmas comes with lots of love, hugs, and kisses. And you really don’t want to have chapped lips. In fact, no one does. 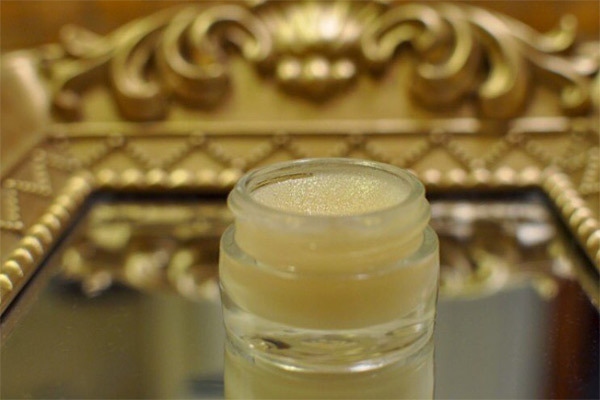 To give your near and dear some respite from the effects of the cold on their chapped lips, this shall be the perfect gift. Add the oil, honey, and beeswax in a container, and place it on a double boiler. Once everything has melted and combined, remove it from the heat. Transfer the contents to a container of your choice, and place it in some cold water. Stir until the mixture thickens. Place covers on the containers and allow the mixture to set. Kiss-ready lips for your loved ones! Gifting life, say a fish or a plant, sometimes, is the best gift you can give your loved one. 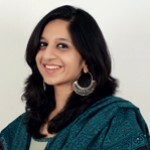 At the outset, it brings along with it so much positivity. And, if you and your beloved are into greenery, this will be the perfect gift. First, we need to make the box. So, lay the bottom piece of wood on a flat surface, and smear drops of glue on the edges where you will place the side panels. Attach all the pieces. Then, while the glue is still not fully set, clamp the box, and let it dry overnight. Hammer some nails, and place the metal clips to name the plants or write a message. You could consider lining the box with waterproof tape so that it lasts longer. 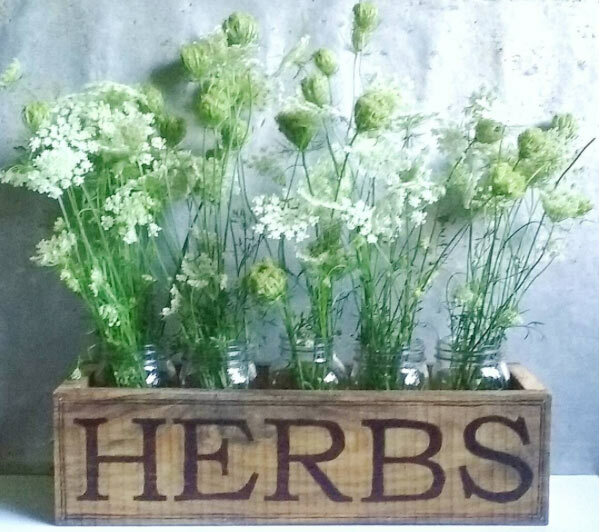 Add pots of your favorite herbs in the box, and you are ready to gift away! Make it a herbalicious Christmas! 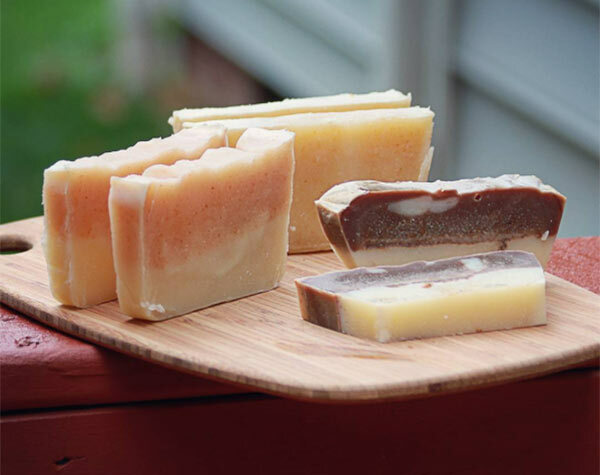 If you really want to show off some skill, you might want to make your very own homemade soap as presents for your friends this Christmas. Not only are they unique gifts, but I am quite sure your loved ones will appreciate the effort. Your mixing temperature needs to be 115 degrees Fahrenheit. Begin by heating the oils. Make sure you protect yourself by wearing gloves, as you will be working with high heat . Heat the oils for two minutes, and then at smaller intervals until you reach 115 degrees Fahrenheit. Mix the sodium hydroxide with distilled water in a Pyrex glass at room temperature, and stir slowly until it dissolves. Make sure all the windows are open as you do this. The mixture will fume so you will need to place the glass in a container of ice. Once everything is at the right temperature, pour the lye into the oils, stirring in small circles. Continue stirring as the mixture thickens to a pudding consistency. You will now need a hand blender to mix. Now add the color and fragrance of your choice. Pour the liquid into 1-liter milk cartons and allow it to set for about 48 hours in your fridge. The mixture is likely to feel warm as it neutralizes into soap. Cut the slabs and wrap them up to gift away! 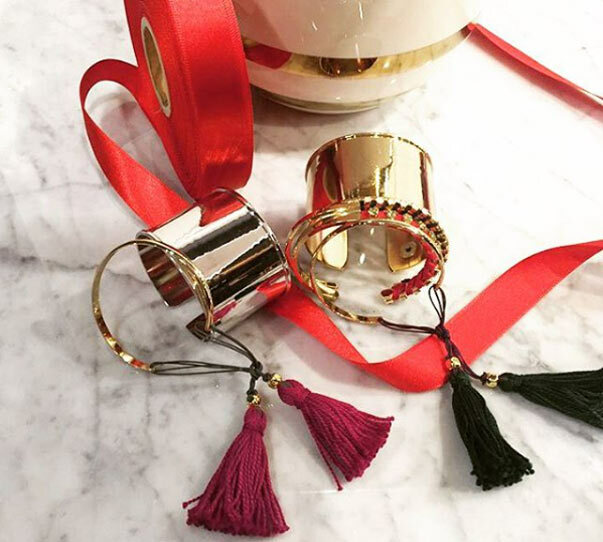 This is a fairly simple gift, yet very chic and elegant. Whoever you give it to is sure to appreciate it forever. Wrap the thread around your fingers such that they are bundled up. Place one end of the bundle in the foldover crimp ends, and then close them using pilers. Trim the bundle, making sure the ends are even. Attach them to a jump ring and slide them into a bangle of your choice. A trinket that is truly worthy of a Christmas present! 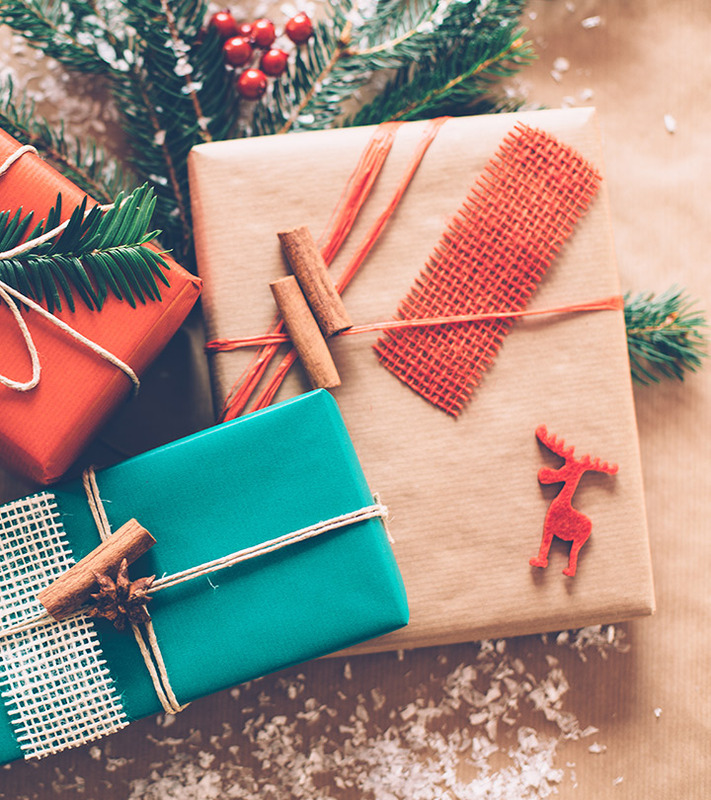 So there you go… 10 amazing gift ideas that will truly make your loved ones feel very special! The best part is, you will realize how talented you really are. Definitely a win–win situation!